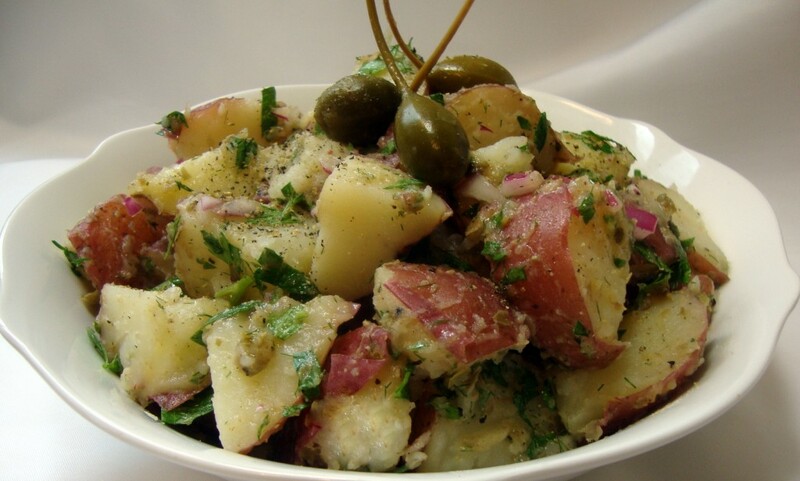 Potato salads tossed with red wine vinaigrette are popular in Greece. The potatoes soak up the dressing and the salad is served warm or at room temperature. The addition of capers and lemon zest impart a citrusy, salty flavor. Cut the smallest red potatoes in half and cut any larger potatoes into 1-inch chunks. Place the cut potatoes into a large cooking pot and add plenty of water to cover. Add 2 teaspoons salt and bring to a boil. Reduce the heat to a soft boil and cook the potatoes just until fork tender, about 10 to 15 minutes. Avoid overcooking. Drain thoroughly and set aside in a large mixing bowl. In a non-reactive bowl, whisk together the vinegar, oil, coriander, lemon zest, black pepper and 1 teaspoon salt until emulsified. Pour over the potatoes in the mixing bowl. Sprinkle in the chopped parsley, shallot or onion, capers and dill. Toss thoroughly and set aside for 20 minutes for the potatoes to absorb the dressing; season with additional salt and pepper to taste. Serve warm or at room temperature and garnish with caperberries if desired. 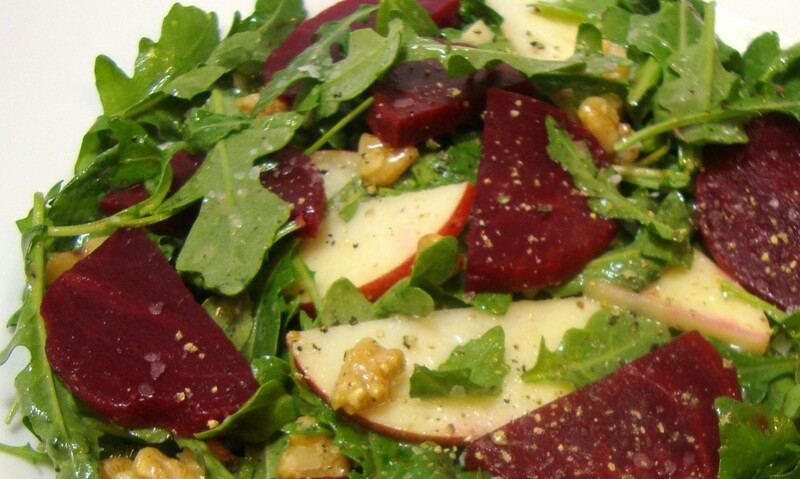 This salad is a combination of earthy beets, fresh sweet apple, crunchy walnuts and peppery arugula. Mellow white miso adds plenty of umami (the Japanese word used to describe a savory flavor) to the simple citrus vinaigrette. In a shaker bottle or similar sealed container, add all dressing ingredients. Seal and shake vigorously to emulsify the dressing. The dressing will keep for about 1 week, refrigerated. Shake well to re-emulsify before using. In a large cooking pot, place the beets in plenty of water to cover. Bring to a boil, reduce to a vigorous simmer and cook until the beets can be pierced easily with a fork, about 25 minutes. Drain and set aside to cool. Peel the beets, cut them in half and then thinly slice. Arrange them on a platter or on salad plates and season with salt and pepper. Cut the apples in half and thinly slice. Combine the slices with the arugula (or other greens) in a large mixing bowl; season with salt and pepper and toss with enough vinaigrette to lightly but sufficiently dress the greens and apples. 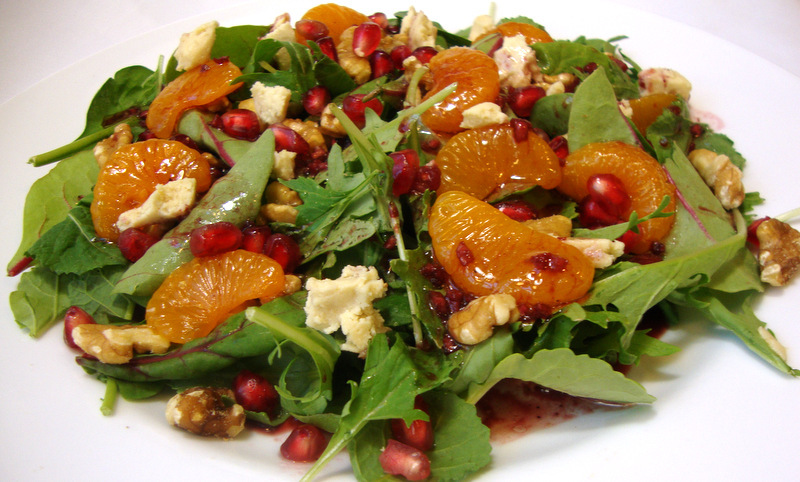 Top the beets with the greens and apple, sprinkle with the walnuts and serve. 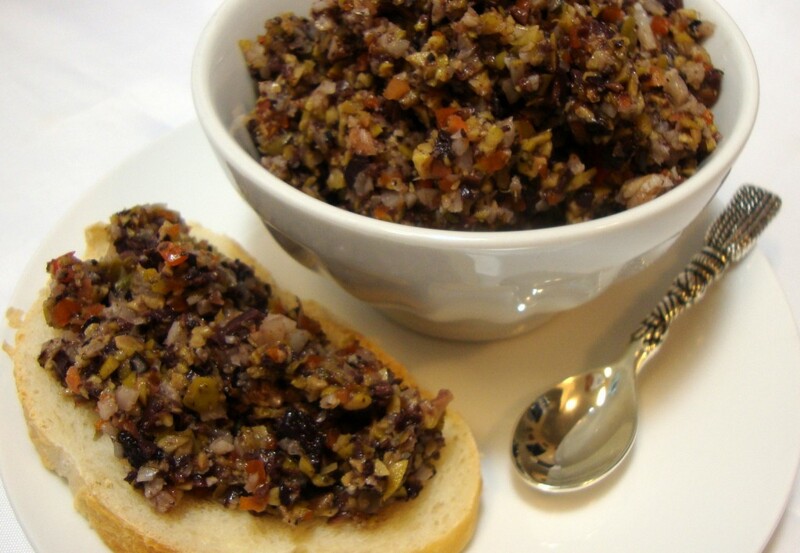 This recipe is my version of the mixed olive tapenade served on the famous New Orleans Muffuletta sandwich. Its bold Mediterranean flavors also pair well with hummus and baba ghannouj on crackers and crusty bread. Or try it on grilled eggplant sandwiches. Ideally it should be made a day in advance to give the flavors time to blend. 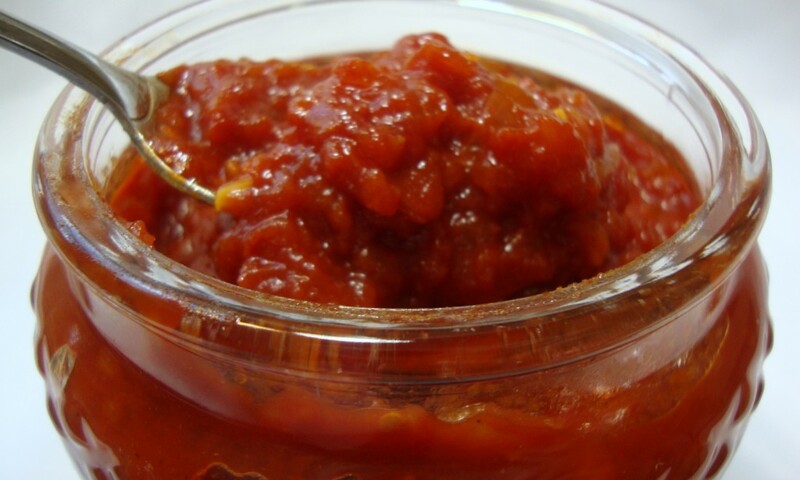 Stored in an airtight container in the refrigerator, this spread will last for months. 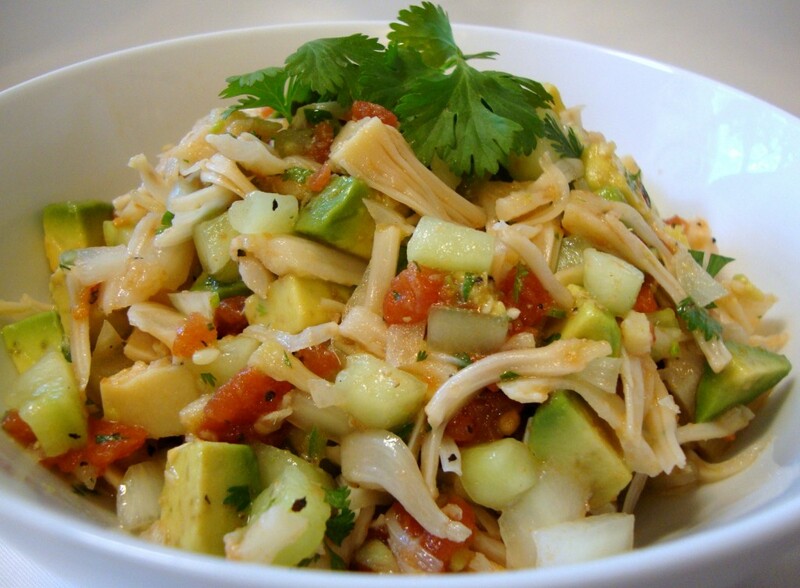 Place all ingredients in a food processor and pulse until coarsely chopped. Refrigerate to blend flavors before using.